I remember the first time I learned about activism while studying at Yale Divinity. I often worried about the wellness and mental health of those who stood on the front lines of activism. How are they cared for? Recently I had the opportunity to organize a TEDxWomen event in Southern California. It was a rewarding experience on a number of levels. The most rewarding aspect was the opportunity to give a platform to a diverse group of women who would not otherwise be on the same stage. Sonali Fiske is a leadership coach and the founder of Pick Your Platform and Raise Your Voice. She was excited that the speaker lineup included such a range of women of color with different backgrounds. Honestly, when being asked to speak, oftentimes there’s this underlying burden of being tokenized at big events like this, which is so off-putting, that it doesn’t impel you to participate. Because you’re often worrying about ‘well, who else has been invited to speak?’ But from the get-go, each and every speaker profile was so richly diverse in their background and identity, that it allowed me to be free up there on that stage. I have to give major props to the organizer for that, because I felt it was an authentic reflection of our society, our community, and what the cultural landscape is asking for. 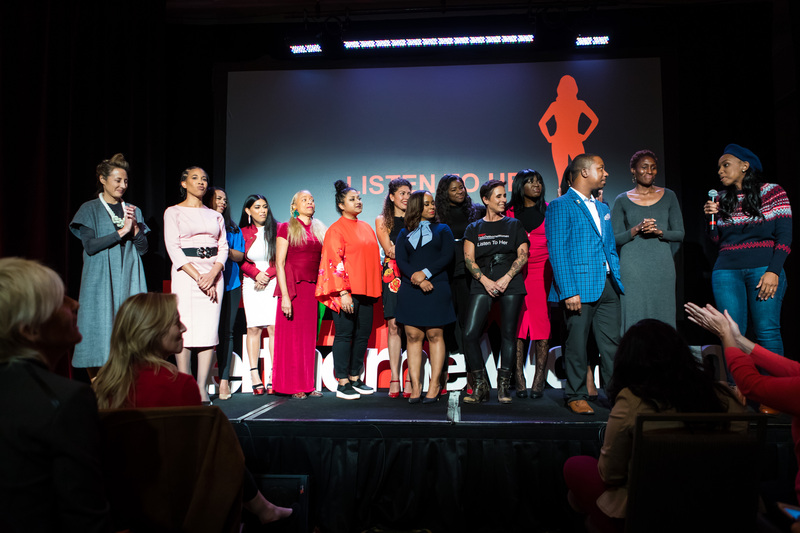 Over eighty women from the Los Angeles area gathered at the Marriott Redundo Torrance to listen to 14 dynamic speakers from across the country. 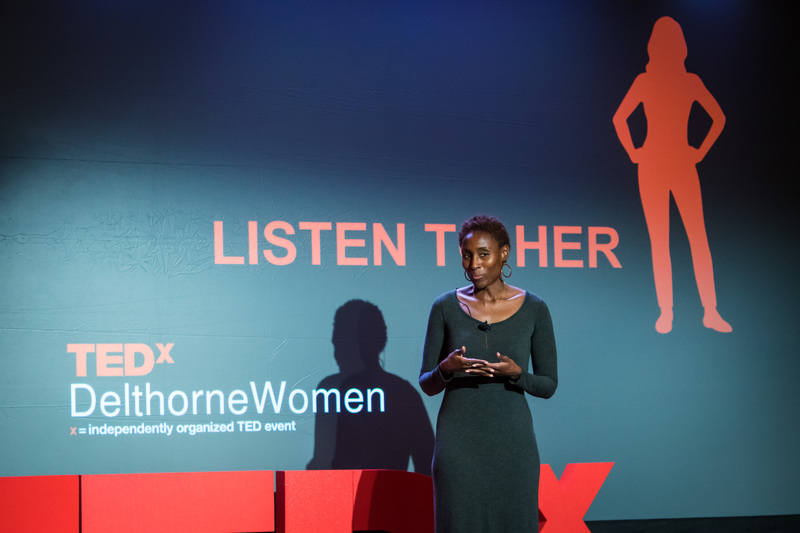 I organized TEDxDelthorneWomen because of my own own negative experience with my TEDx event. VIP and Platinum ticket holders received a swag bag with a book called How to Walk Away, by Katherine Center and other goodies. Fiske went on to say how an event of this magnitude helps with mental health and wellness. This event was one of the most liberating experiences of my life. I enjoyed speaking at TEDx Delthorne Women, because it was quite the reverse experience — I felt the talk topics will re-inform and counter the existing narrative. And there’s a lot of freedom that comes with that. I’ve read that not giving voice to our stories can cause anxiety and illness in our bodies. In the “meet and greet” afterwards, I spoke to so many attendees who felt empowered to speak up in their own lives! 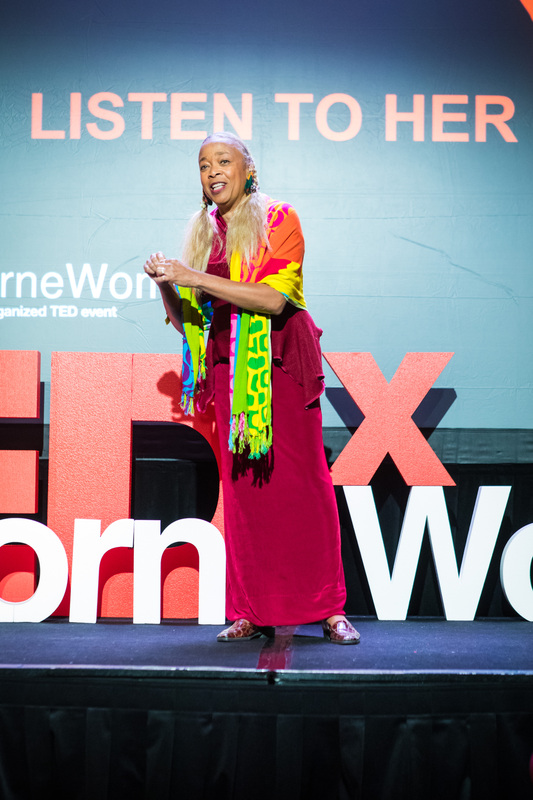 Actress Fay Hauser-Price gave a riveting poetry performance where she entered the stage singing,” I Shall Not Be Moved.” Her energy and zeel moved the audience, and gave way for a cultural experience. The call to action song is one of the staples of the Civil Rights Era. Proverbs, a poet and Yale Divinity School graduate performed a piece that discussed sexual abuse she endured as a child at the hands of her father. 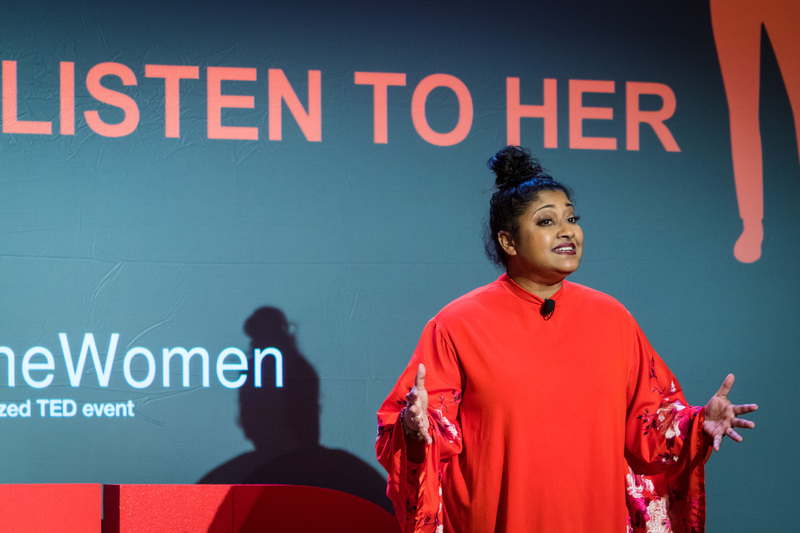 The theme of TEDxDelthorneWomen was “Listen to Her.” It was so important to give women the voice to speak.